The library at The Brain Charity has a range of resources on Back Pain and on a wide range of disability-related issues. Visit our library to read our copy of Arthritis Research UK's booklet on Back Pain. Behçet's Disease is a chronic condition which happens because of disturbances in the body's immune system. The system becomes over-active and produces unpredictable outbreaks of unwanted and exaggerated inflammation. As a result, symptoms occur wherever there is a patch of inflammation, and can be anywhere where there is a blood supply, the most common outbreaks being mouth ulcers. The library at The Brain Charity has a range of resources on Behçet's Disease and on a wide range of disability-related issues. 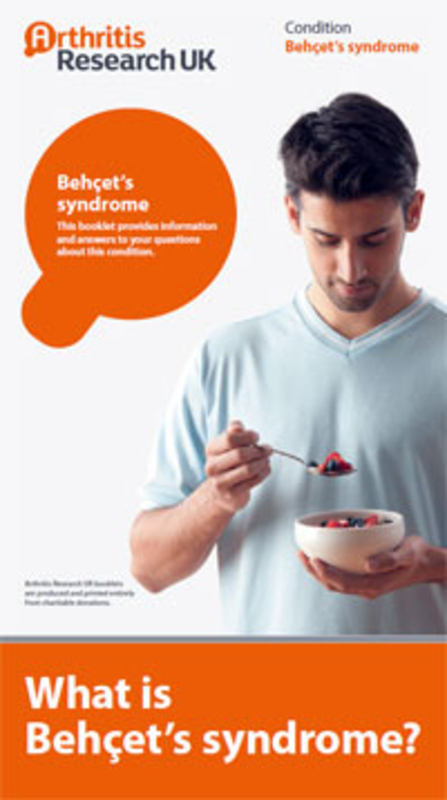 Visit our library to read our copy of Arthritis Research UK's booklet What is Behçet's Syndrome? Bell's Palsy is a condition in which one side of the face becomes paralysed. It is usually temporary, and the majority of cases start to get better within three months. The exact cause of Bell's Palsy is unknown, but it is believed that viral infection of the facial nerve is commonly involved. Our resources The library at The Brain Charity has a range of resources on Bell's Palsy and on a wide range of disability-related issues. An injury to the head or face, resulting in trauma to the brain. The brain injury may be mild to severe, and the subsequent impact can likewise be from mild, short-term problems to permanent problems including emotional and behavioural changes, cognitive effects and physical disability. The library at The Brain Charity has a range of resources on Brain Injury and on a wide range of disability-related issues. Visit our library to read Caring for someone with a brain injury by R. Morris and K. Mudd. A tumour which occurs in the brain, which may be benign (slow growing, non-cancerous), or malignant (invasive, often grows rapidly and cancerous). Each type of tumour has different characteristics. A part of The Brain Charity's outreach work in St Helens, the St. Helens Brain Tumour support group meets once a month. Thursdays, 6.00-7.00pm. You can just turn up! The library at The Brain Charity has a range of resources on Brain Tumour and on a wide range of disability-related issues. Visit our library to read Living with a Brain Tumor: Dr Peter Black's Guide to Taking Control of Your Treatment.